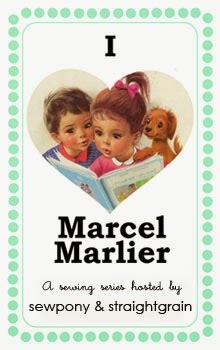 Today is the final day of lovely outfits for An and my I (heart) Marcel Marlier series. We will have a great wrap up post for everyone this coming Thursday where you can view all the creations on one post and next Monday we will be announcing the winners of our giveaway (which you can still enter today on our bloggers' posts). Today Griet from Emma & Mona and Mie from Sewing like mad are closing the series with two gorgeous creations. 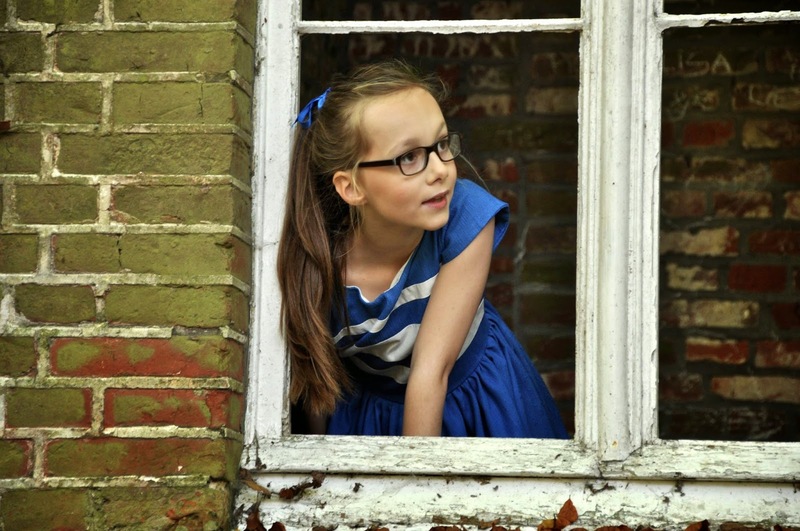 Griet is popular blogger who lives in Belgium. She sews mostly for her gorgeous twin daughters - Emma & Mona. 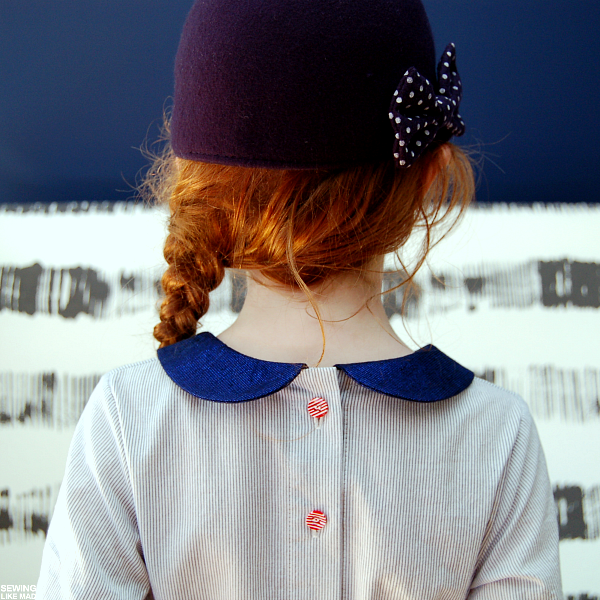 I was first introduced to Griet's blog by An through her Kids' Clothes Belgian Style series. Then later, Griet and I competed in the same series of Project Run & Play. Griet went on to win the series by a landslide. Her creations are always unique. Colourful florals, quirky prints, unusual colour combinations and fun photoshoots. I love Griet's style and it is great that she is closing the series today. Please visit Emma & Mona to see her lovely Marcel Marlier inspired creation! To read the introduction to Mie's post, please visit An's blog!! If you are inspired to sew along, you can still enter our friendly sew along here. We will be doing a wrap up post of all the entries next Monday when our giveaway winners will be announced! Thank you so much for inviting me!!!! Such a great series! You and An picked some really great bloggers (and I am NOT speaking about myself, but the others!). :) I am just blown away by the talent in this series.